This card's Japanese name is a reference to a grimoire. This book appears in the artwork of Spellbook Magician of Prophecy, which also has the effect of searching Spellbook cards. 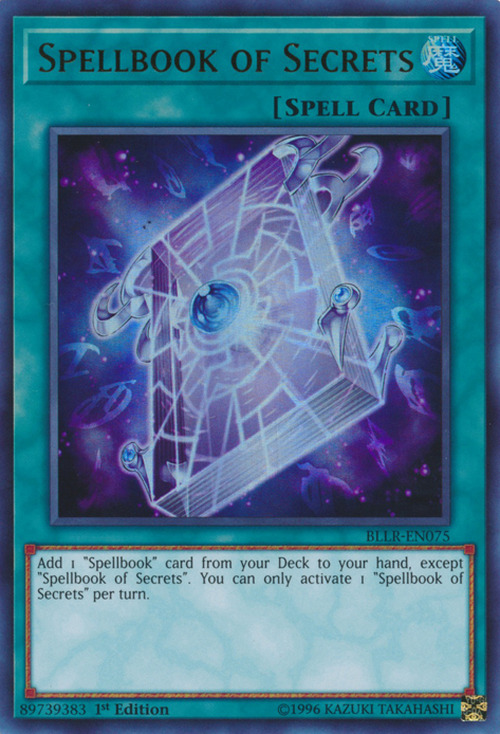 The effect of "Spellbook of Secrets" can add a "Spellbook Magician of Prophecy" to the hand. : Can the effect of "Spellbook of Secrets" add a "Spellbook Magician of Prophecy" to the hand even if it is a Monster Card?.